So recently after patch 0.6.4 i started playing with the new French cruiser with Kirishima (Yotaroh) Voicecover, so i played like 5 match in Co-Op. After that when im on the next match suddenly the Voicecover didn't work anymore and it changed back to normal Voicecover (Japanese) and then i check on the setting>audio and then i panicked when i saw the Voicecover not there. Do any of you guys know whats going on and how to fix it? thanks. As far as I know, this error only happens to some people, some of my friends also have this error, but some people have not encountered this error. Now thats kind of weird honestly, me and my friend and the WoWs INA FB Group had this problem, 50% all member in the INA group had the Voicecover gone and some didn't. Now im literally confused rigth now, and for alternatively i used the ARP Voicecover mod i found in the forum. Voices missing for me since yesterday. No idea what happened but I am suffering from Iona withdrawls at the moment. Was their a fix announced? Do the files get hidden as well? Because I can't find the arpeggio audio files in the res folder anymore. That macro patch did something. 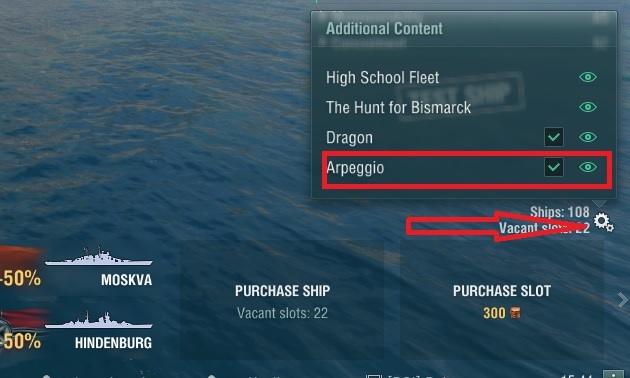 I have an inkling this was done to make way for High School Fleet voice overs since WG does not hold the license for Arpeggio any more. Maybe they are trying to avoid a clash of some kind? If this was intentional, I guess modders are our only hope now. 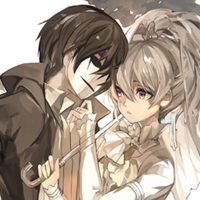 And if you want to use other voices, you can try changing TAKAO to something else. I have tried it with Takao's voice and it works. So yeah, there you go. Confirmed that this works temporarily. For now Iona's voice is back. Uhh.... i can't seem to find the Carousel setting, can you please provide it with Screenshot? so that it would be much easier for me to understand how i suppose to activated the Carousel Setting. having the said ship/captain is "probably" required to get the access to their voice..
for example. 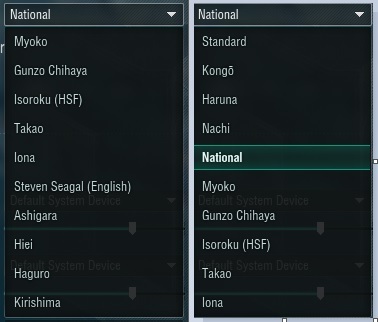 if u want ashigara voice option. u need to have ashigara captain. well. i said "probably" coz i am not really sure my self. coz i have all ARP captain/ship in my port. all voice option is available in his acc.